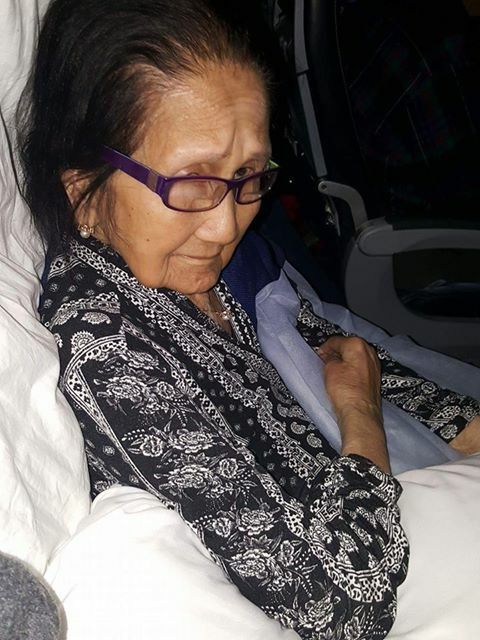 American carrier United Airlines is accused of illegally transferring a 94-year-old Filipina with disability from a paid Business Class seat to an Economy seat causing her to endure a painful 16-hour flight from Los Angeles, USA to Melbourne, Australia. In a Facebook post by Marianne Santos Aguilar, she revealed that her grandmother suffers from severe arthritis and degenerative bone structure in her neck making her spend most of the day in the bed. However, this didn’t prevent the old woman to travel and be reunited with her family in the US. To make sure that she’ll be comfortable throughout the long flight, her grandchildren pitched in to purchase her a Business Class ticket from United Airlines. While she received proper treatment from the airline crew during the outbound flight from Melbourne to Los Angeles, this was not the case during her flight back to Australia. Apparently, the elderly woman was travelling with Aguilar’s aunt, who was in Economy class. Aguilar told The Summit Express that her aunt even asked the airline if she can help the disable grandma, but she was denied. She then requested a Business Class flight attendant she identified as Shauna to assist the old lady with simple tasks like reclining her seat and opening her food. “Shauna said my grandma's only options were to1) move to Economy with my aunt or 2) take another flight and purchase another Business Class ticket for my aunt,” Aguilar wrote in her post. The elderly woman agreed to move to Economy class and endured 16 hours in distress in pain. Upon her arrival to Australia, the grandmother’s legs had swollen, her whole body ached and had suffered a stiff neck from the long flight. She even had to take a stronger pain medication and Valium to help with sleep. Towards the end of her post, Aguillar urged airlines to end discrimination towards the disabled and elderly. Aguilar also revealed that they had contacted the Complaint Resolution Official department of the said airline to report the incident. However, the management claimed that they did not find any proof that disability regulations were broken after two weeks of investigation.